Hey... let's face it, whether we run or are waiting for something, aren't we all often missing "more time" to do "more things"? I know I left my blog a little bit on the side as life has pushed me into running a lot lately. 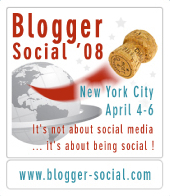 Nevertheless, I still believe in blogging very much and will soon post again. I would like my blog to take a new fresh "turn", which is also why I need some time. 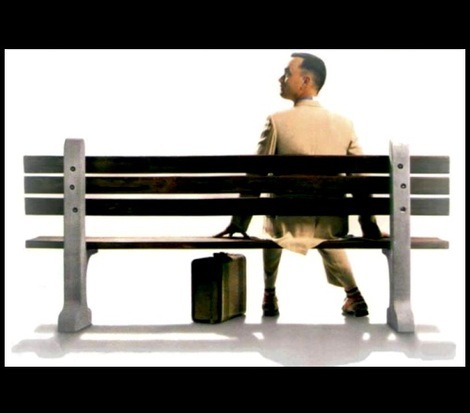 Today (again) I think about Forrest Gump waiting on the bus stop and talking about chocolates. I really like this movie and encourage those of you who haven't seen it to do so. Here under an extract of a post I wrote after one of David Armano's brilliant insights. 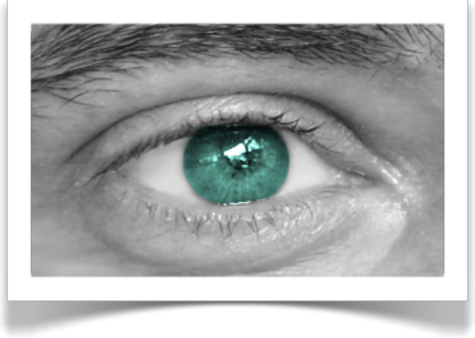 This thought was written thinking about blogging and about connecting ideas and opening new ways to communicate. 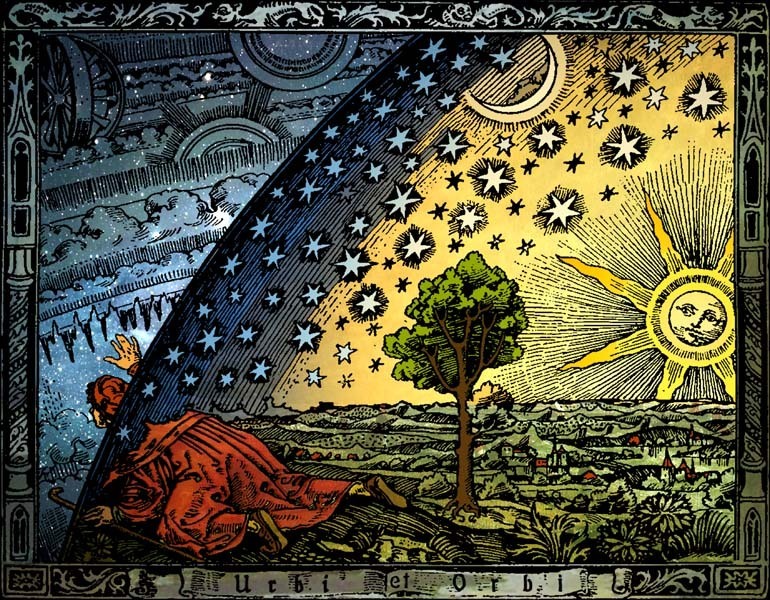 Love the image below as well. It’s been a while now, but we all remember. What happened to our friend CK is still fresh in our memories. This weekend it is Mother’s day and so as you can all imagine, it will be a very special weekend for CK and her sister Melissa. CK wrote an extremely touching tribute to her Mom that I invite you to read here. In addition to sending them both our warmest thoughts, it is also the perfect moment to remember CK’s Mom action for Habitat for Humanity (if you wish to donate you may follow the link by clicking on the logo hereby or on the sidebar of this blog). 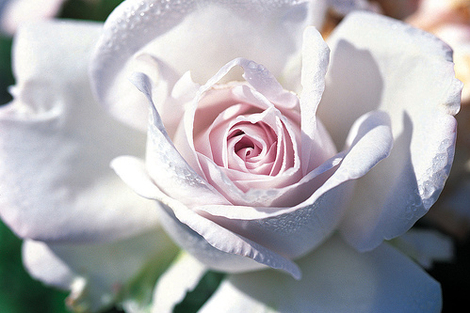 This flower is for all the Moms of the world and all the Moms of our hearts. This flower is not an image on a computer screen. It is a message that goes far beyond. If this message is indeed unique (...you see, my Mom is reading this blog), it is also one we may share. - "Mom(s), this flower is for you". 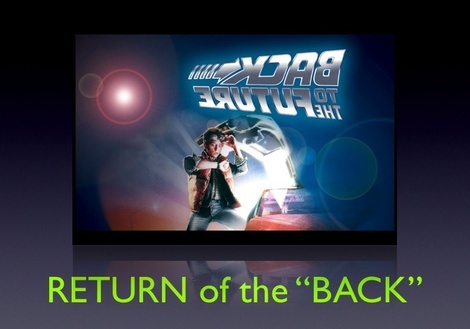 "The RETURN of the BACK... to the Future". After 2 different shootings abroad (in Cape Town, South Africa), 50 hours flight delay (check this homepage and read the baseline), the full throttle post-productions following them, with a never-ending cold in the background... I'm here again guys. Not in the best shape ever (yep... sleep deprived), but still... alive and kicking (oh yeaaah!). When your day-to-day job spreads over a few weekends in a row, and all evenings for weeks, reading and commenting blogs, and posting on your own, seems to be like dreaming of an ice-cream in the desert. But well, even if I believe in dreams, this time (again)... it's been a while since my last posts. Anyway, sorry for not commenting much on your blogs (*). On my side, many things to tell, soon a film to show you (we're working on an English translation of the first film I told you about), inside stories (making off shots and pictures) and more important some unexpected and intense experience I had while in Cape Town that I'd like to share with you. 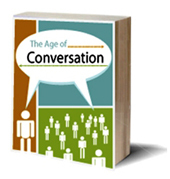 In the meantime, there have been tons of excellent posts I missed, sad news launching constructive debate and "conversation" (*)... and great initiatives, like the "Conversation Age" ebook launched by Gavin Heaton and Drew McLellan. 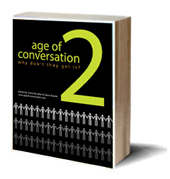 I'll have the honor to author a chapter in this book (Geeee... the deadline is April 30th!). Thumbs up to Gavin and Drew for the preparation of this really exciting challenge... Let's not forget that putting this all together is a TREMENDOUS amount of work. So, Gav, Drew... you guys just rock! As some of you might know, I am now in Cape town again, preparing another shooting (shoot day tomorrow). Today on our pre-production program: location recce, wardrobe fitting, belly casting (now... come on guys, can't show pictures here - we just need it to shoot a gentle demo, really - yes, I'll post the film when on air) and set building check. 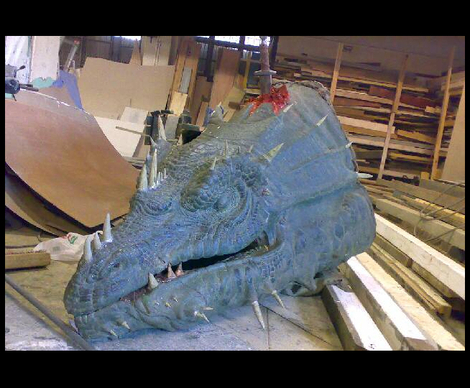 While at the set builder studio, I made a strange encounter... the huge head of a dragon (picture above)... just, laying there in the middle of the room. Wow! Absolutely unexpected. In a fraction of a second, imagination flew me away. I was ridding on the "Neverending story" dragon, on a trip "Finding Neverland", where "Big fish" can be found. Some films lift you up when you see them. They make you "believe" in dragons, Tinkerbell and giant fishes. They boost your mood and bring you good... vibrations. They make a smile "pop" on your face. PS: Yes, I do recommend the above films... and eventually some imagination in your everyday life, to be different and most of all to "believe". About 10 days ago, our dear friend CK and her sister Melissa lost their Mom, Sandra J. Kerley, in a tragic accident. You might know CK through her blog. If you do, you will know that this is probably the best way to honor CK, Melissa and their Mom. Then you may wish to donate to Habitat for Humanity in Sandra's name, as she was involved into helping this charity dedicated to providing housing for those who have none. Thanks to David, Drew, Gavin, Mack, Ann, Roger, and Lewis for setting up this brilliant initiative and also... for the positive spirit they share with us and let us share with you. This was the news of the day on Friday. Australia : Noel Davies is back at home after recovering from the severe bicycle accident he had just before last Christmas (see earlier post). Noel bravely climbed the mountain of recovery motivated by an impressive positive spirit. We're pleased for him and his family to read this wonderful Easter piece of news. You can find a very nice story written on his son in law's blog (Gavin Heaton's brilliant "Servant of Chaos"). Surprisingly, the story is not Gavin's - who posted so many news on Noel's site. As a matter of fact Gavin offered a post on his blog to the person who made the 1000th comment (congrats mate!). 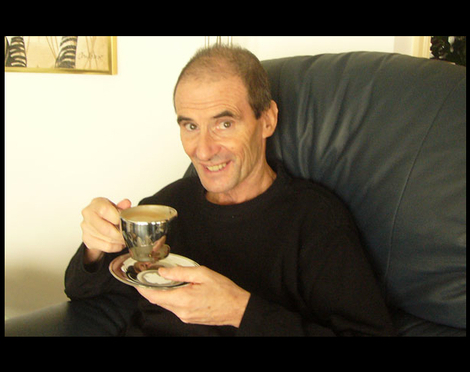 This person was Drew McLellan who was inspired by the courage and spirit of Noel and wrote "Resurrection", a touching story, retrospective of Noel's steps from accident to return home. I encourage you to read it. 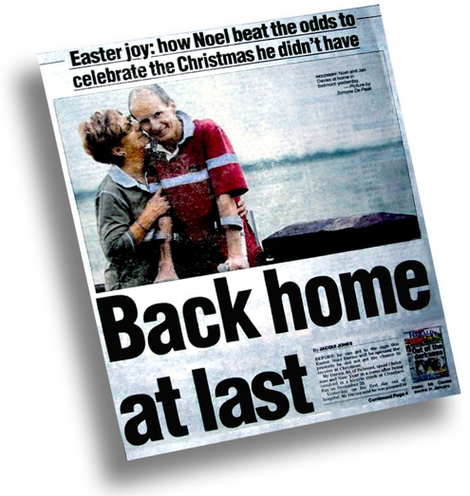 CONGRATULATIONS Noel... and WELCOME HOME ! 2 days ago, I read this post... and it instantly broke my heart. 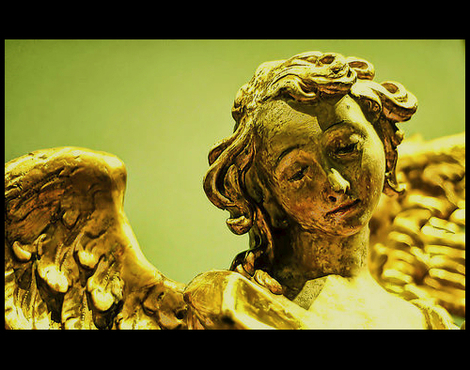 Our dearest friend CK, the extra-ordinary (yes, I want to spell it this way), generous and brilliant Angel of the marketing community lost her Mom in the most unexpected way. I just couldn't find appropriate words to write about it. Although I never actually "met" CK in the traditional sense of the definition, I had the chance to discover her fantastic personality through her blog, her comments (should I say support) to the community and surprising energy booster emails. I imagine what she is going through right now and I know she must be in great pain. In such moments, if we all know nothing can actually change the facts... it is good to let our hearts lead us to the essential. Most things we see with our eyes. But... there are things hearts only can see. CK, our prayers and Love cross the planet to reach you, your sister and your family. Yesterday return ticket to Paris. Post-production facility : Mikros image. At least 10 people working on our project. Action and speed all day to reach conference call with client and integrate all the elements post-produced separately. 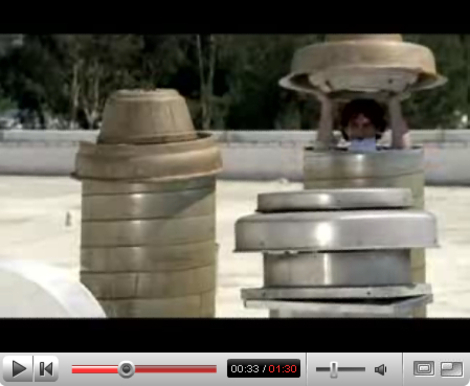 I'm pleased to see how the limits of CGI and compositing can be pushed. Great professionals around me. Wizzards of Oz making our dreams come true. Morning: agency (us) feedback to post-producers. Midday: Mikros team in action: corrections. Afternoon: continuous agency feedback. Email dispatching and FTP site of work in progress. End of the day: conference call with client in Brussels. Agency introduction to work in progress and client feedback. End of the day: launch more corrections. 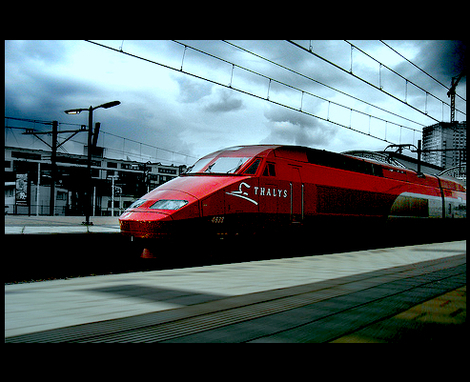 Jump in taxi to catch Thalys. Evening: return to Brussels, past 10 PM, home. Tomorrow music briefing at sound studio. Paradox of the day... feeling the "speed of the day" slow down, while travelling at 300 km/h (+/- 190 mph).